Iran watchers, and those who care to know the truth, knew something was up. The sudden influx of Islamist fascist connected moving to America during Obama’s term in office, particularly around the time he was concluding his disastrous legacy nuke deal, was hard to avoid. 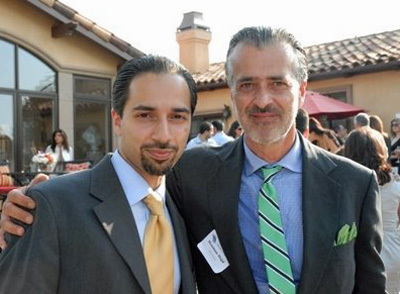 Forget about NIAC Lobby, the Islamist fascist lobby in America working in and having an open invitation to Obama’s White House, the son of Sister Mary, who took American diplomats in Iran hostage, the daughter of Speaker of Islamist fascist “parliament” and many other such Islamist fascist connected moved to America. Now that he has twitted about it, lets see if Twitter-in-Chief will use the same Executive Power the Islamist appeaser-in-chief Obama might have used to grant visa/permanent residency to the Islamist fascists-connected, to reverse it, like he did with the disastrous legacy nuke deal. Lets also hope Trump resends his asinine visa ban on the victims of the unreformable, warmongering and expansionist Islamist fascists. Iranian people for forty years have been the victim number one of the Islamist fascists; it is time for America to take the side of the victims. Lets hope unlike the Islamist appeaser-in chief Obama, Trump does the right thing and deports them Islamist fascist-connected back to Iran. First send them to GITMO then deport them if anything is left of them!? Yes, deport them all. starting with this two pofiooz bi pedar madar ghahbeh! Zolf, Add this koskesh Said Amin, the owner of the new I.C and the advocate of the IRI regime to the list, who should be sent to GITMO, sodomized, and later deported!